A few of my crafter friends often asked me how to price their handmade products when they just started out. It is difficult to determine what price is fair price. Especially with the booming e-commerce, the competition is fierce out there. You want to make things that sell, but on the other side you also want to make a decent profit so that you can make the business going and growing without draining your personal resources. I'm no expert here, but I've learnt my lesson and I read a lot of blog post and books about pricing handmade. Especially when people around you (your social media followers, friends, etc) seems to think that handmade should be cheaper,because they tend to compare your product with ones in Amazon, Ebay etc. Well, send them to Amazon and Ebay! But they won't get the same high quality product as yours, which everything is carefully chosen, it's unique, one of a kind and the whole thing is carefully made without sacrificing a child or cheap labor somewhere in a dingy factory. But how to run a profitable handmade business without draining your personal resources? Price them correctly! Remember, your handmade is not only the material cost, but the time your spend making them, taking photos, marketing, your internet connection, not to mention your mental torture dealing with difficult customers :D. Well, You may want to read this post from Creative Hive on How to Pay Yourself in Creative Business and Pricing Handmade Guide. Now, I am not math genius here. My hubby dear made a handmade calculator for me, which I am still using it this date. You can download the file HERE if you want. It's in Indian Rupees but you can use it for any other currency I suppose. The rows highlighted with light blue is adjustable. You can adjust your margin percentage for Wholesale and Retail Price too. You can even add a row or two. The labour cost/hour is included the overhead expenses . I also included Etsy Pricing formulae in case you want to start selling on Etsy too. The USD exchange rate is adjustable. If you're using Paypal, you may want to check paypal exchange rate, usually 4% lower than market rates). The Etsy Fees paypal fees are recently increased. So, do your homework before inputting the number. 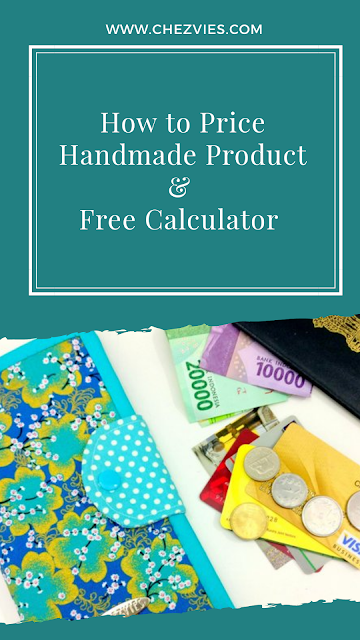 I hope this will help you a bit with your handmade business and when you want to start your business. 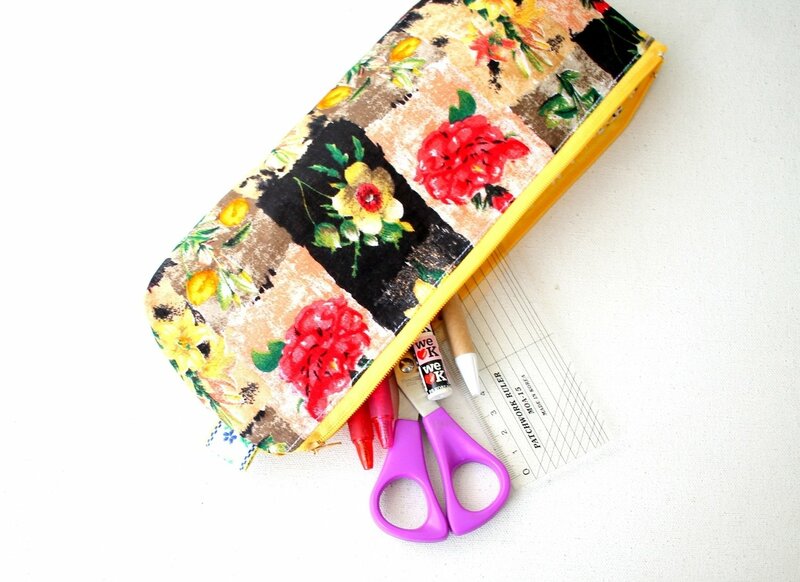 Yesterday I made these one of a kind zipper pouches which in my wish list to sew. It's a free pattern from Noodlehead. I downloaded the pattern a few months ago, but yesterday after sorting out another scrap bag I felt so inspired and got down to make these 4 zipper pouches! I called this fabric the little black dress. It has very fun print. I added black fabric. This is the first one I made, I used interfacing on both exterior and lining. It made the pouch really sturdy. 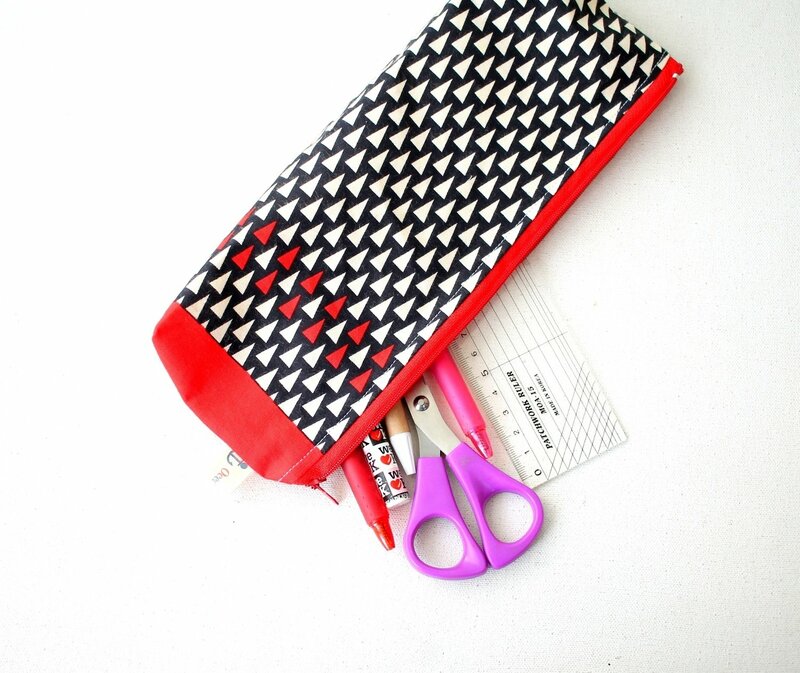 The second one is this black and red pouch. 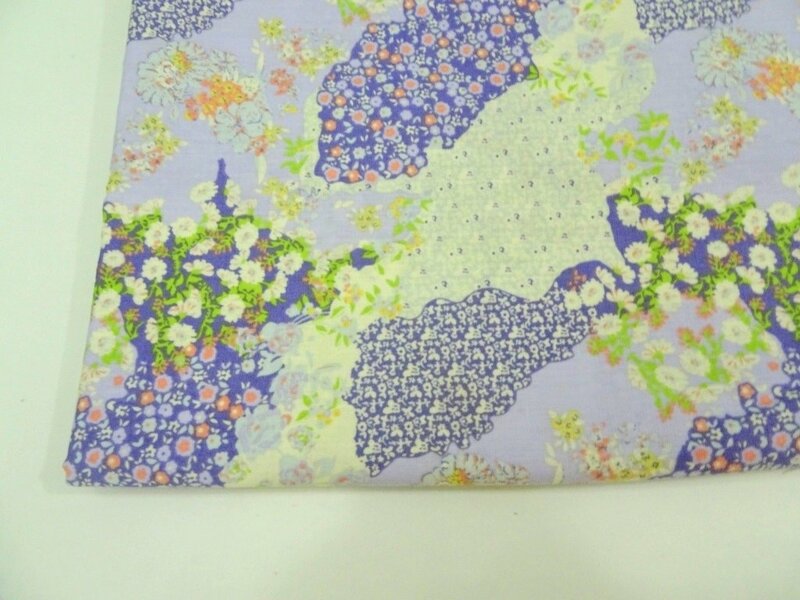 The fabric I used is rayon cotton which has interesting pattern. I fussy cut the fabric to get this double sided pouch! 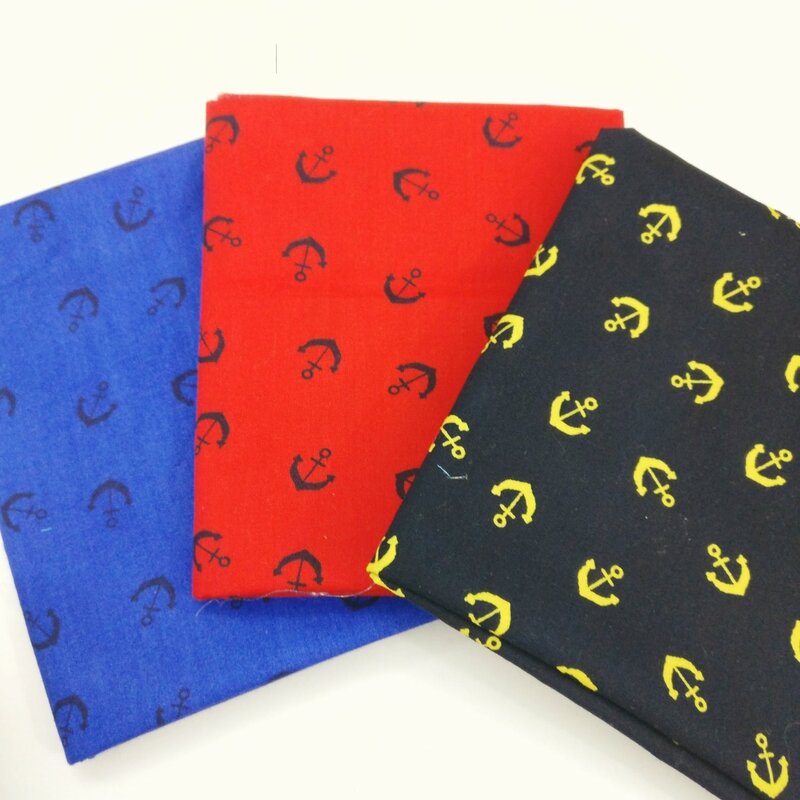 I only put interfacing on the exterior fabrics for the three pouches. I think I love this better, since the pouch can turned out more spacious and flexible. I medium weight cotton fusible interfacing. It gives enough structure for the pouch. I used the same method for my previous pouches which I am still using now. Even after several washing, the pouch remain the same. 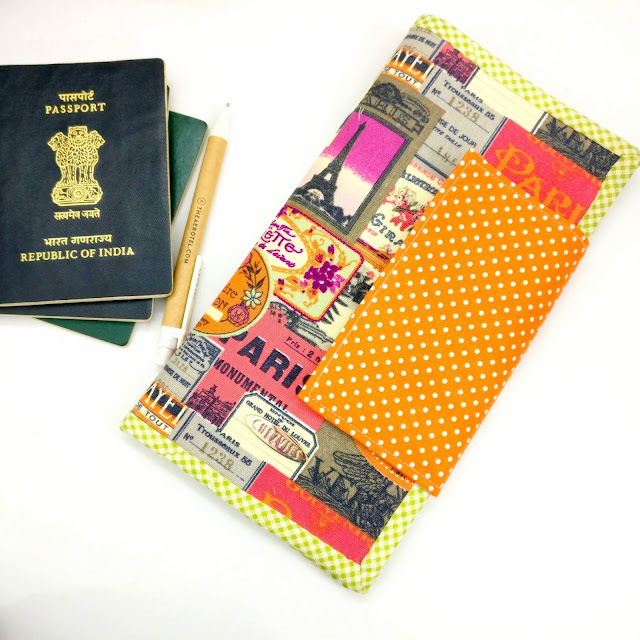 If you're in India, you might want to check out my post about interfacing . 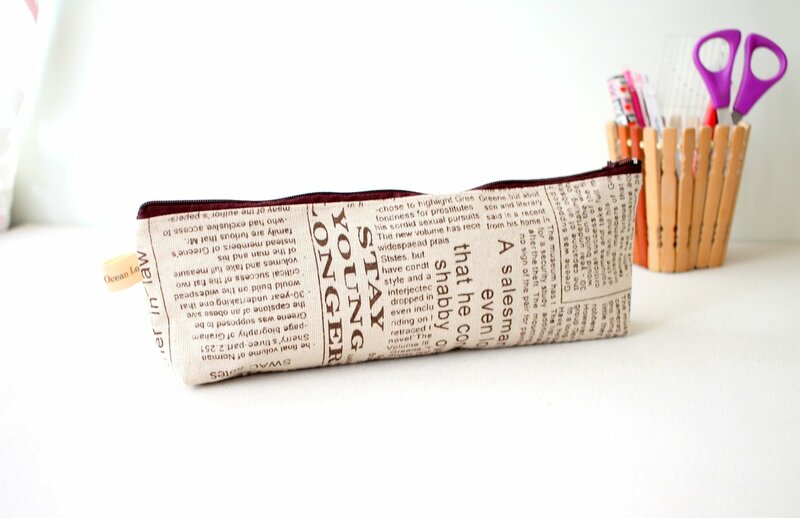 I also use the same interfacing for this newsprint pouch. 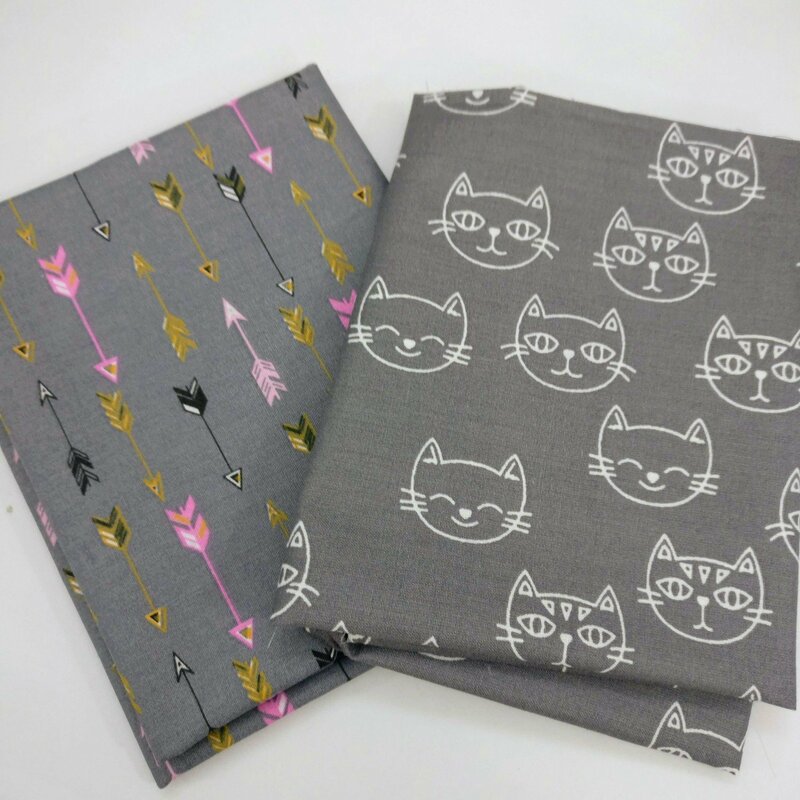 The newsprint fabric is a lightweight canvas fabric. 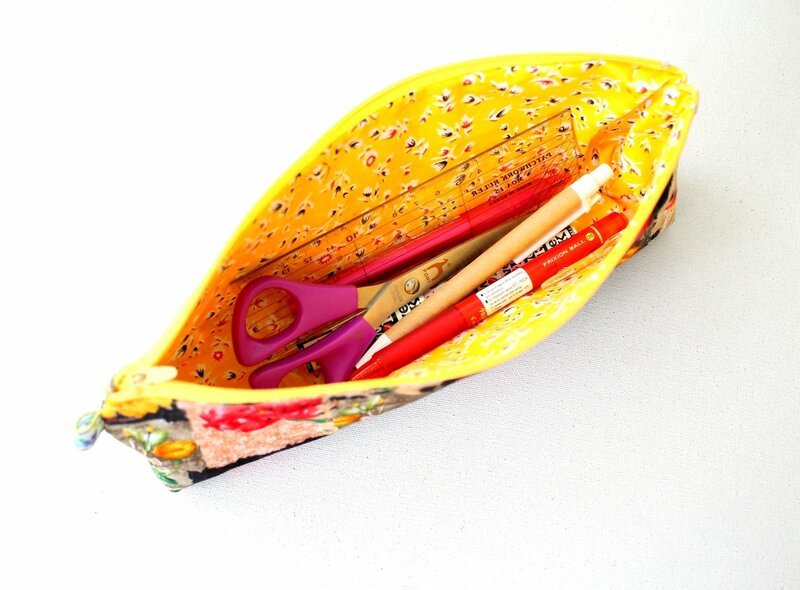 Making pouch is always fun and the result is so rewarding. It is also great for gifts. I always keep few handy for gifts. 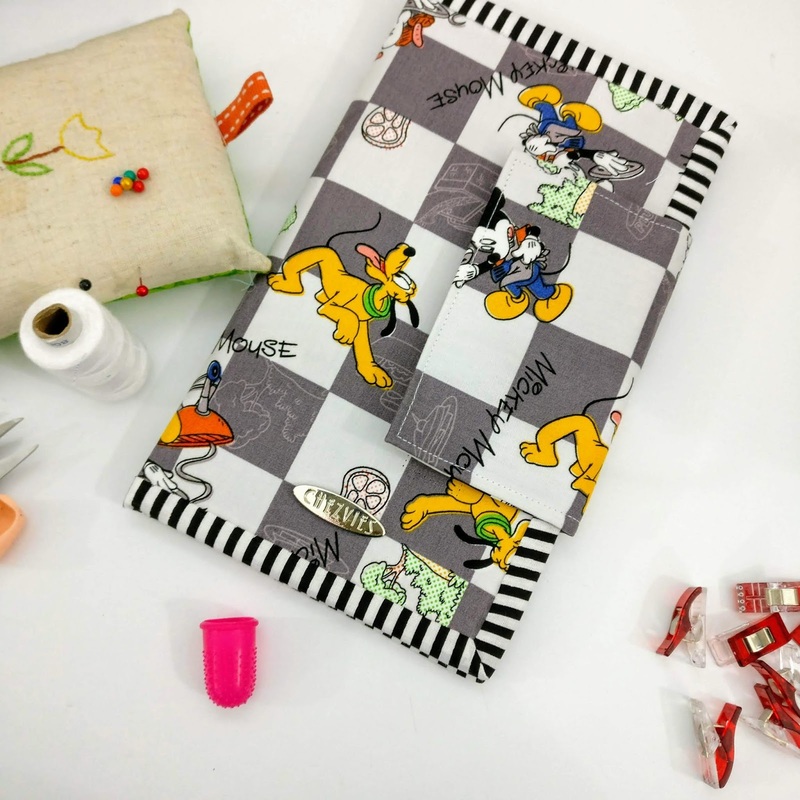 You can also learn to make one with this Basic Tutorial on How to Make Patchwork Pouch or download the PdF in the link below this post. So, what are you sewing this week? 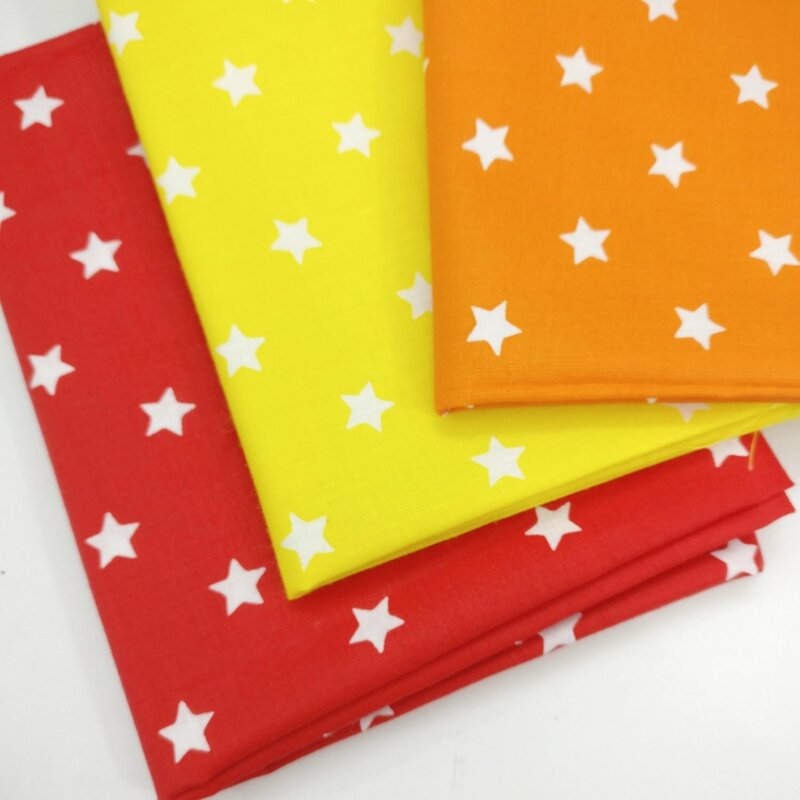 If you're a member of Chezvies Fabrics Club on Facebook, you maybe aware of the de-stashing that is currently going on in the shop. Make sure that you turn on the notification sign so you won't miss the new post. 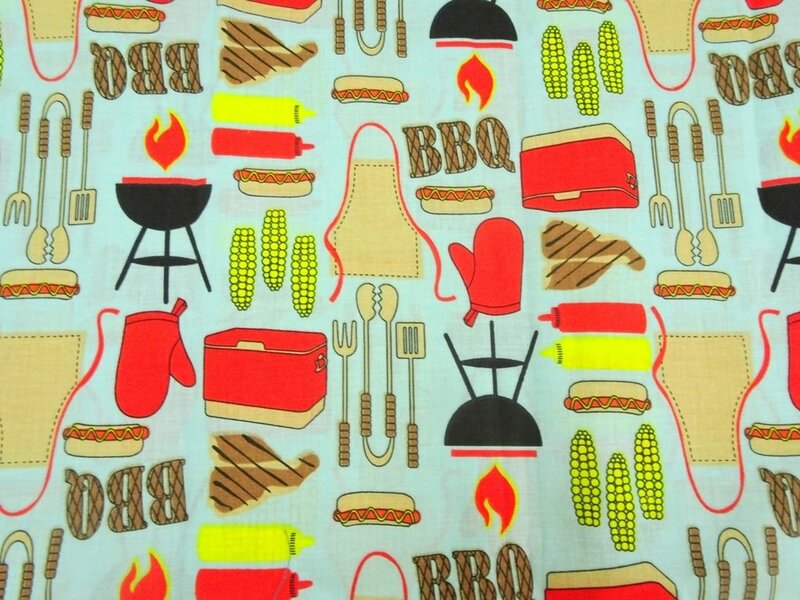 Let's take a peek of what fabrics are currently on Sale. I also added a couple of fabric blenders that you can mix and match them yourself. 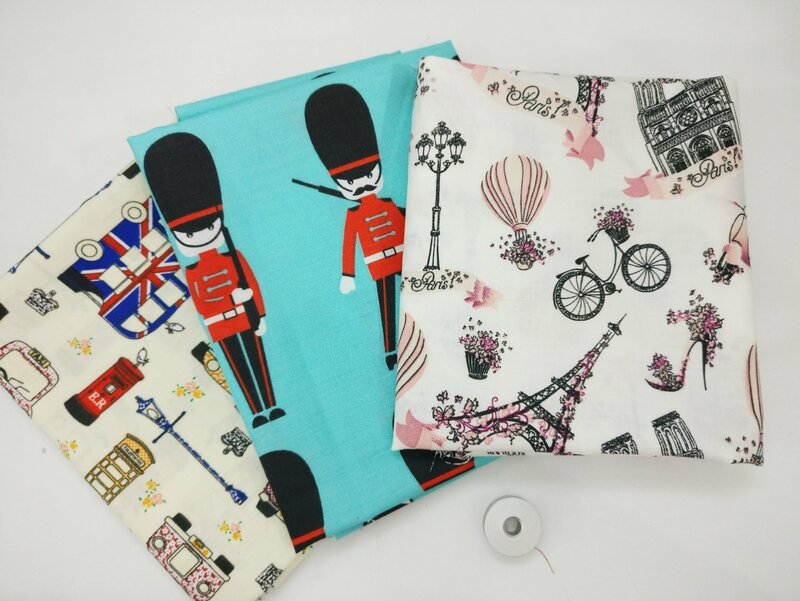 Some fabrics are sold per half meter and some are already pre cut, it either comes in bundles or single fat quarter. You can also request for special bundle. I will be adding more from time to time, as my goal is to reduce my personal collection. Last but not least, if you sign up for Club Member, you will also get Coupon Code that you can use whenever you purchase something. 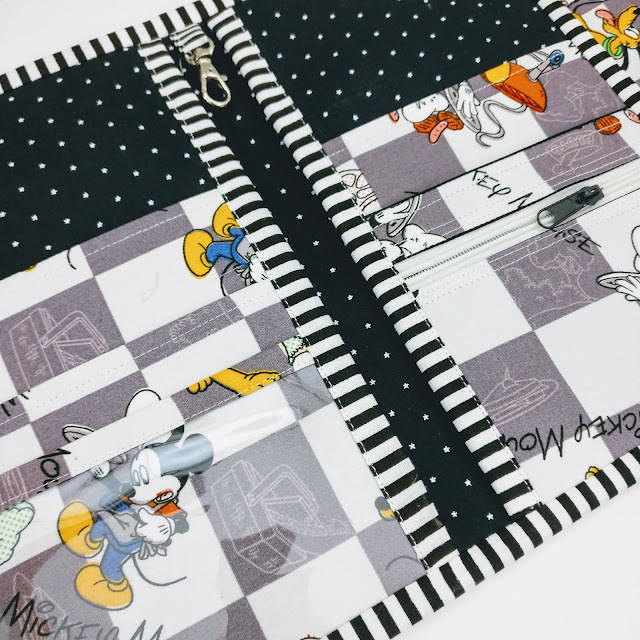 I finally finished this Disney theme Family passport holder for 4. I started the wallet last Sunday. I am currently taking medicine for my chronic allergy which make me very drowsy especially during the morning hours. This Paris theme is another family passport holder I finished last Sunday. It went out for delivery on Monday but turned out there was a Bharat Bandh. That is a national strike called by the opposition party. This one is for 6 passport. I found the fabric during my konmari cleaning session and so happy to find it. I thought I didn't have more of the fabric. I think even fabric, every piece of them has their own destiny! 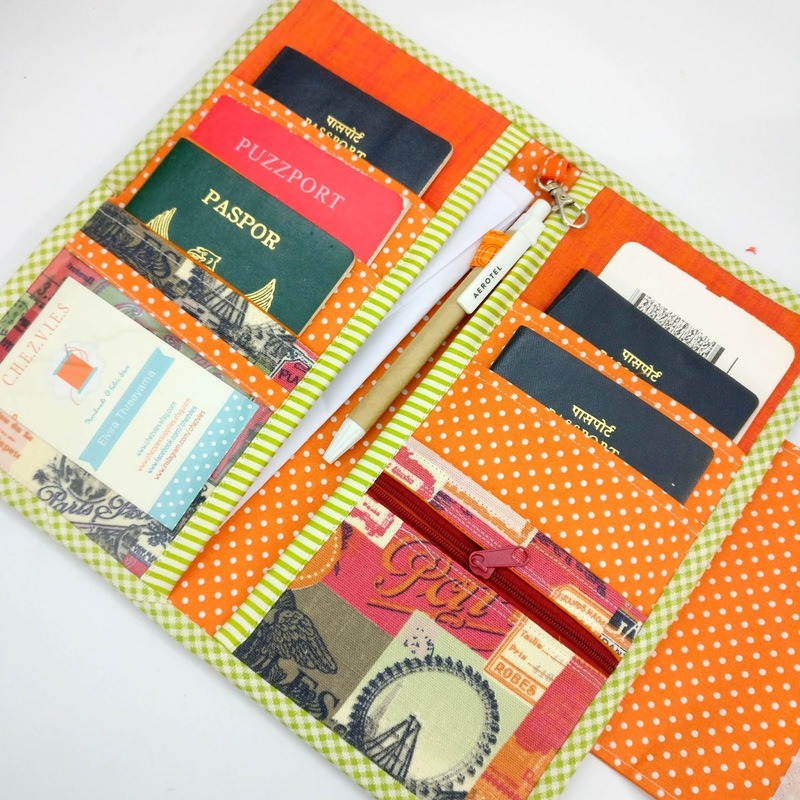 I made similar passport holder earlier but I this time I used a different fabric combo. 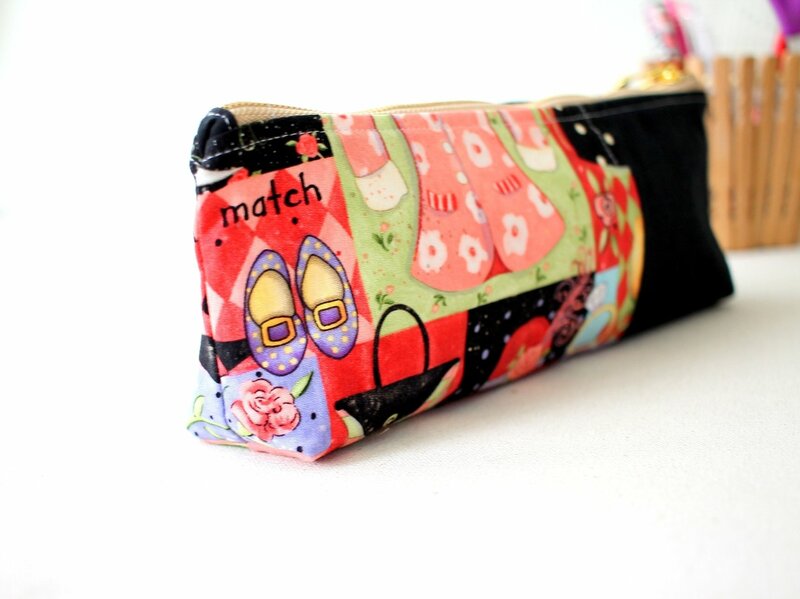 I always try to make every wallet different, so everyone will get special one! Both the passport holder using the same pattern. I wrote a Tutorial on how to adjust the pattern to make 4 passport holder. I hope the recipient will be happy and love the passport holder! What is your favorite wallet? It's already September and the festival season is started here in India. And also exam season for the sons. The elder one will have Trinity piano exam at the last week of this month. I hope can prepare well, since his midterm exam also will start from tomorrow. Sewing wise, I finished 2 wallets this week! 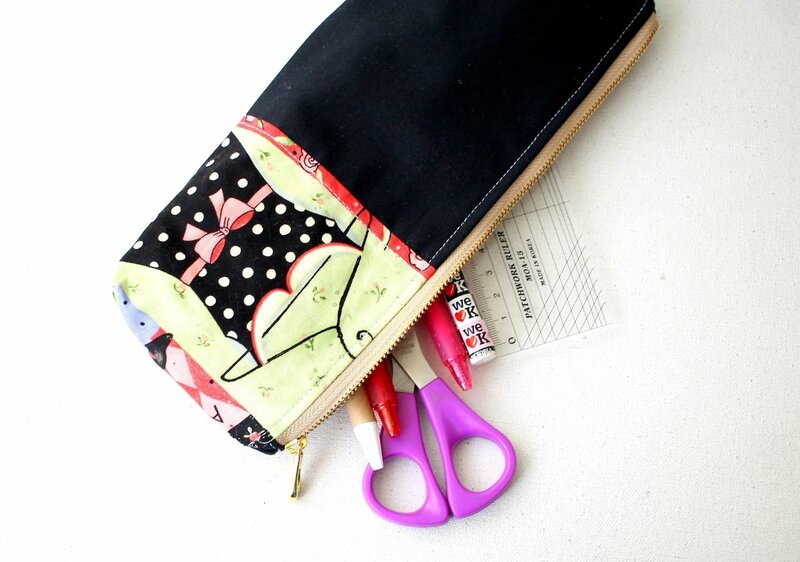 One is the double zip wallet from Noodlehead's book the Handmade Style. It's been on my list for quite a while. It was quick and fun sewing. I'm quite minimalist when it comes to wallet. I normally carry 2 cards and a few business cards. 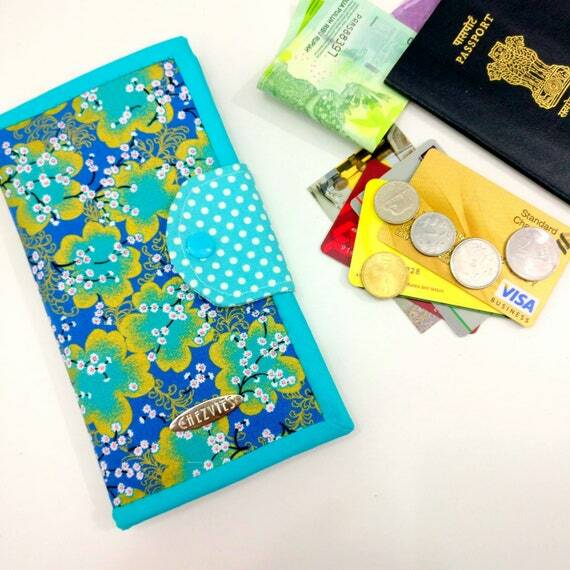 The double zip wallet has 6 card slots, 1 slip pocket and 2 zipper compartments which can be used to carry your phone! 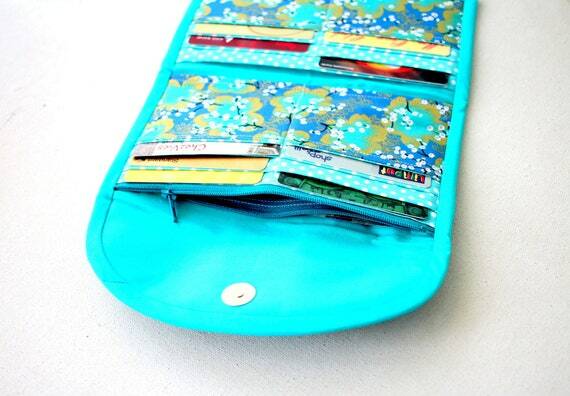 I really liked the flap with magnetic snap that keep the 2 zipper compartments together. Here I used a gingham black and white fabric to contrast the cute sheep print that I got from my trip to Japan earlier this year. The second wallet is the bifold slim wallet. This is my own design/pattern. I found the hexagon print fabric in my stash and I know I am going to make a wallet with it! I used the lacy zipper too!! I think I need to get more of the lacy zippers, I really love it!! 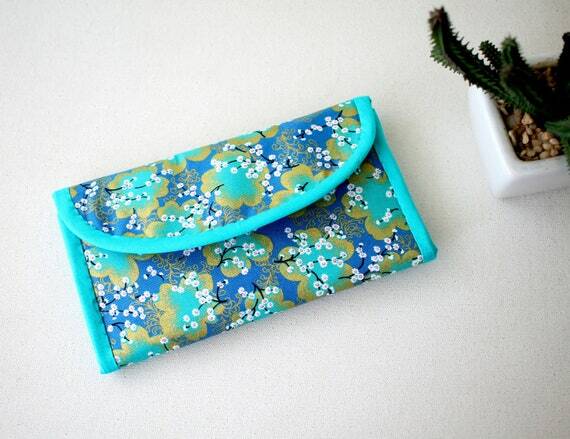 This bifold wallet can also hold 6 cards, has 1 zipper pocket and 2 slip pockets. It closes with flap and snap button. I made a pointed flap this time to match the hexagon print. I finished the wallet with hand sewn binding as always. I decided to stripe bias binding and I love how this wallet turned out! What is your fave wallet to carry?